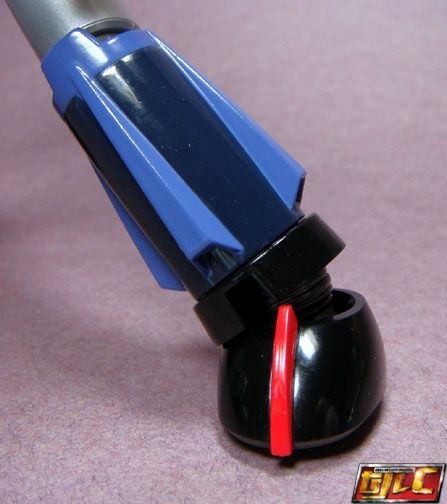 Extendable ankle joint. 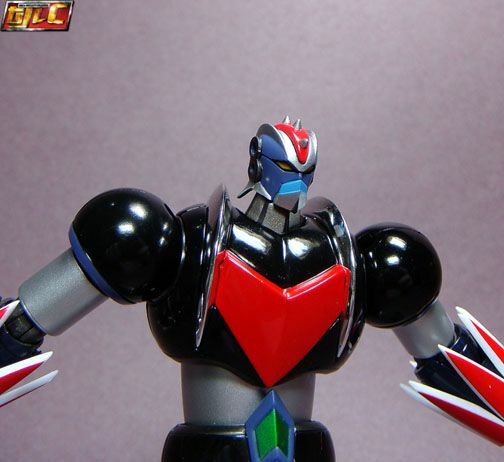 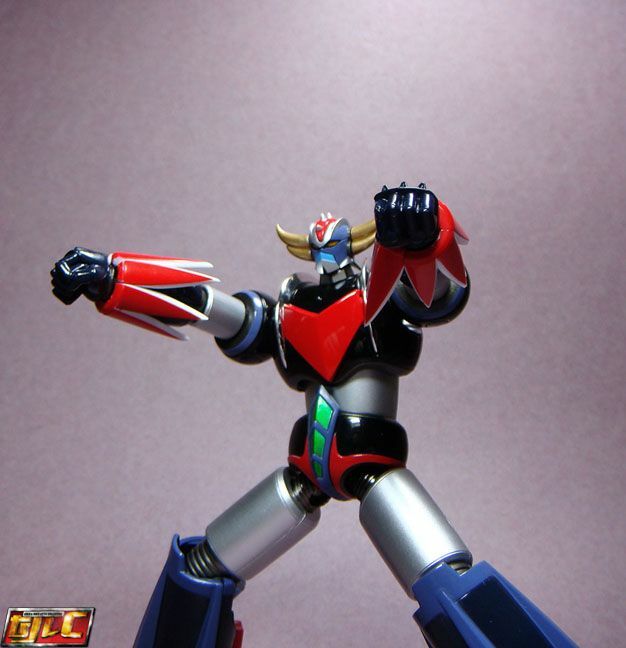 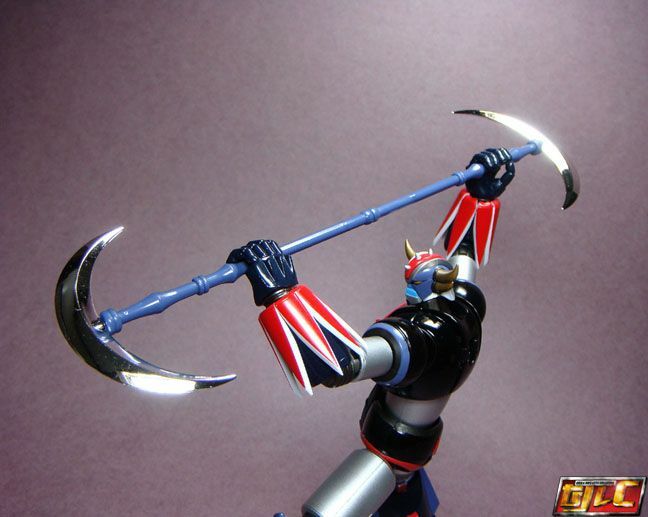 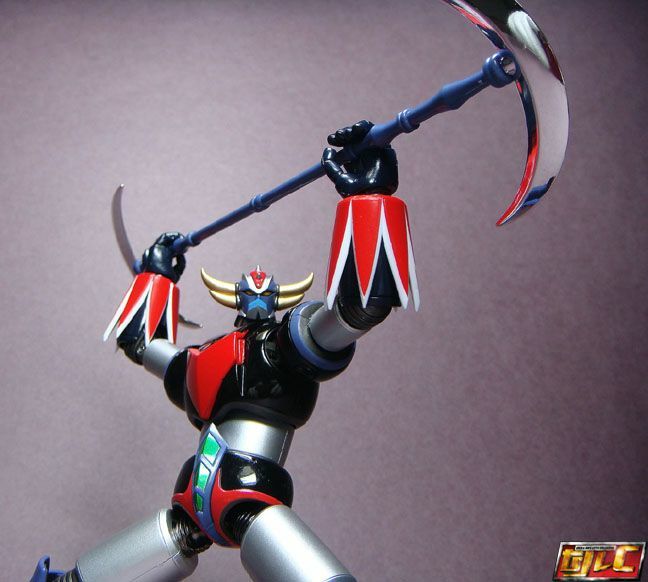 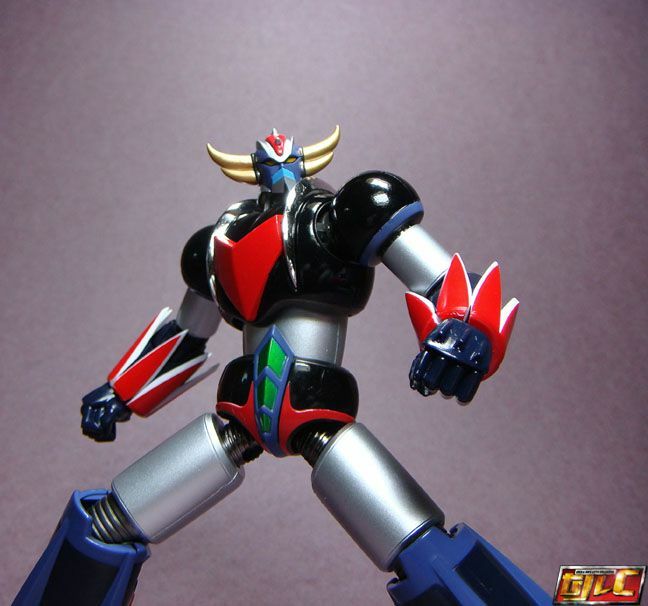 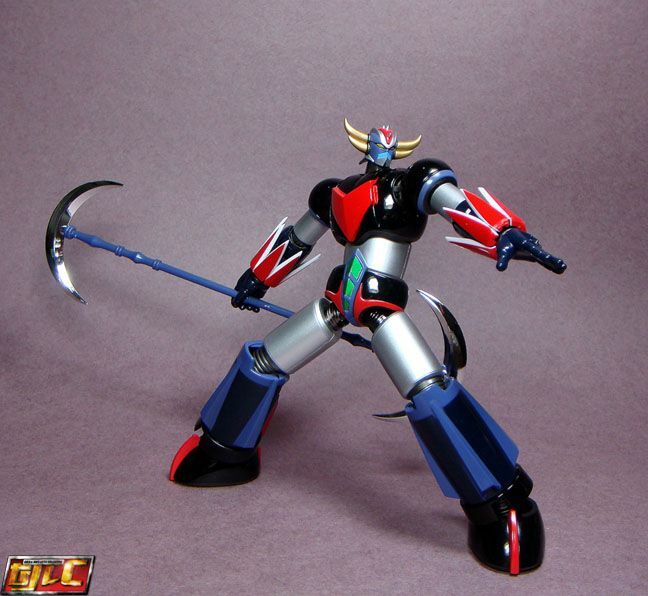 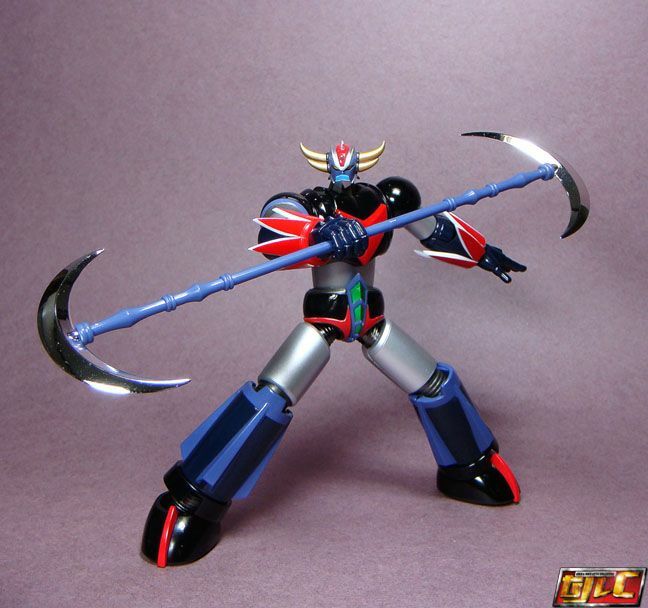 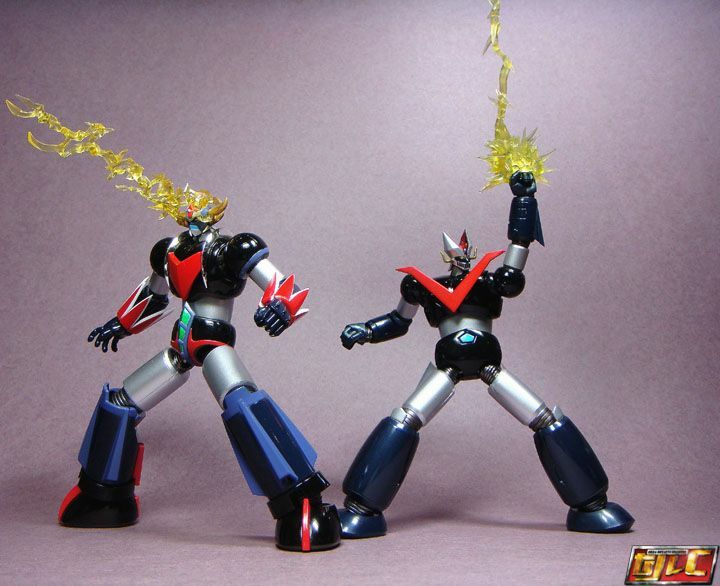 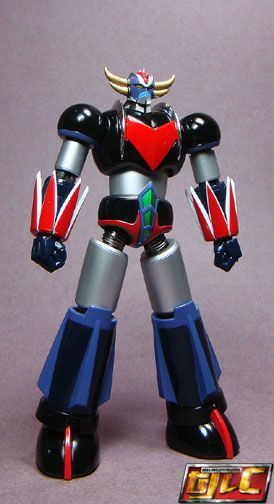 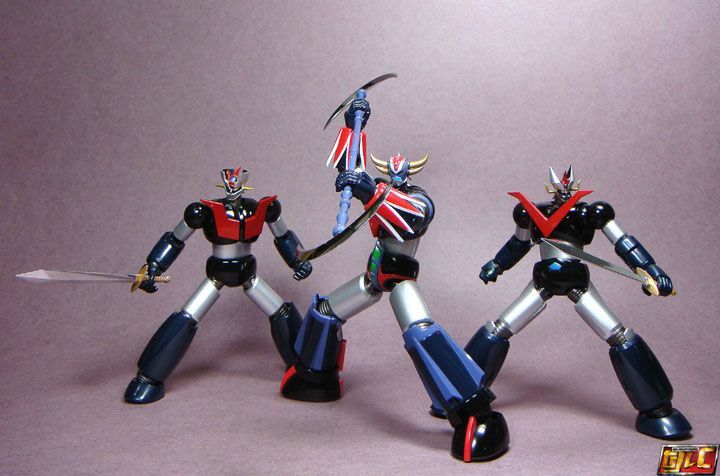 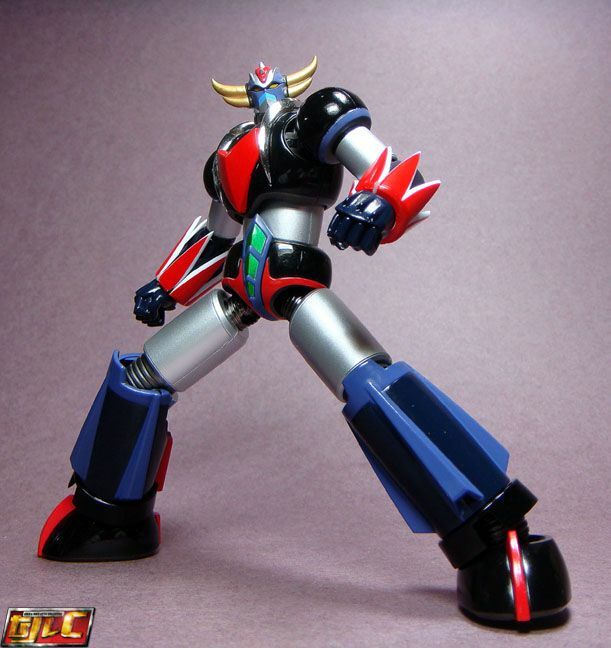 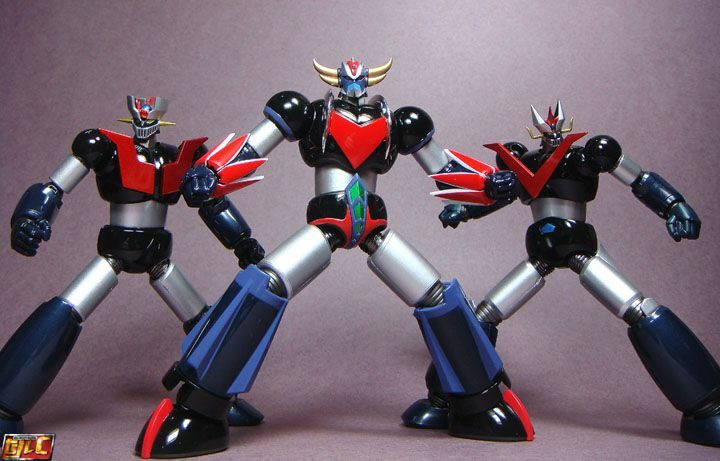 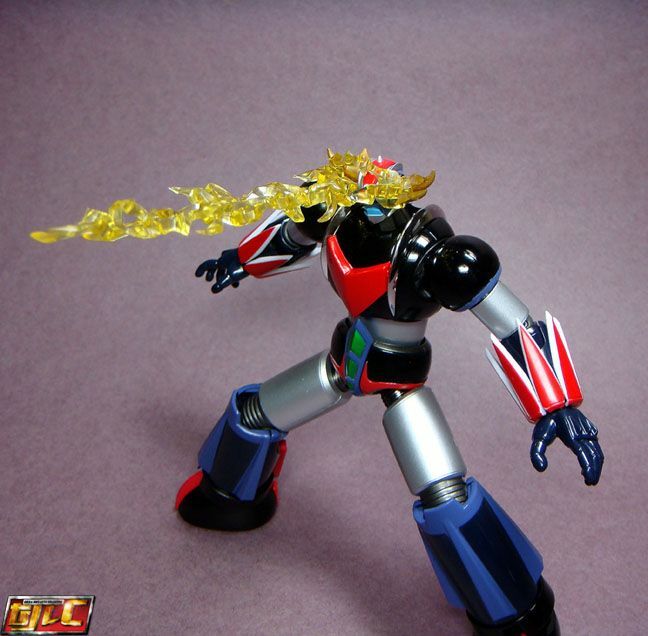 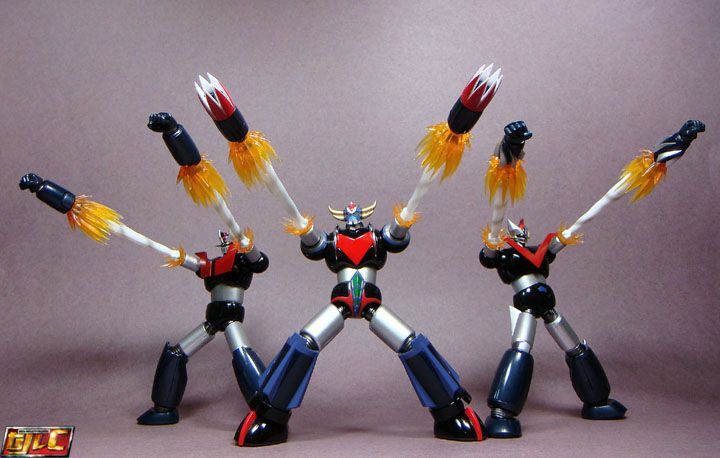 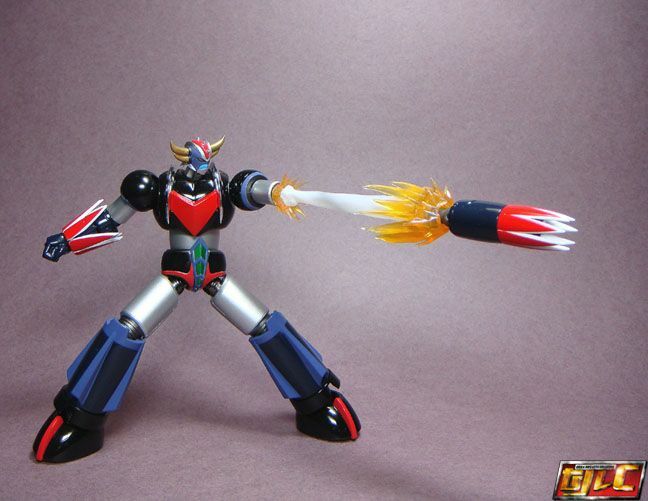 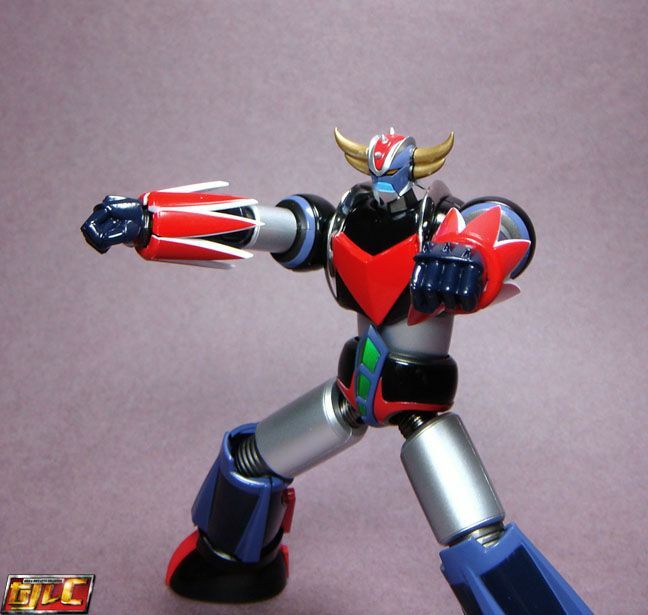 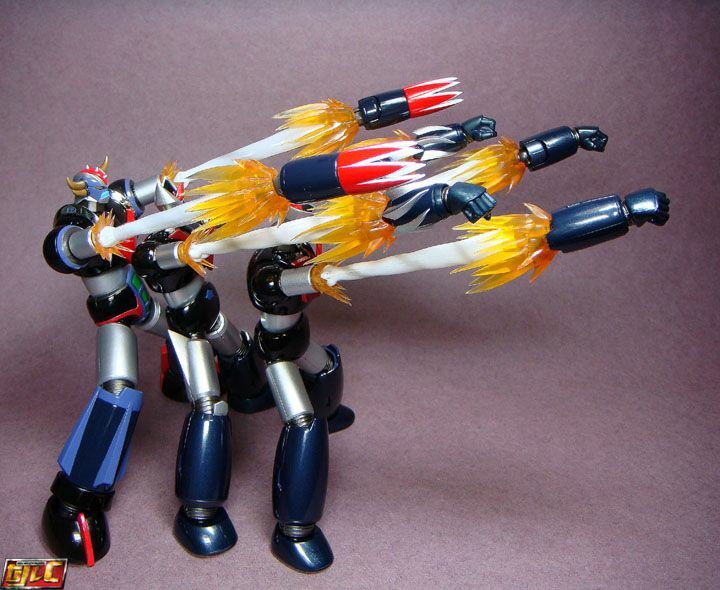 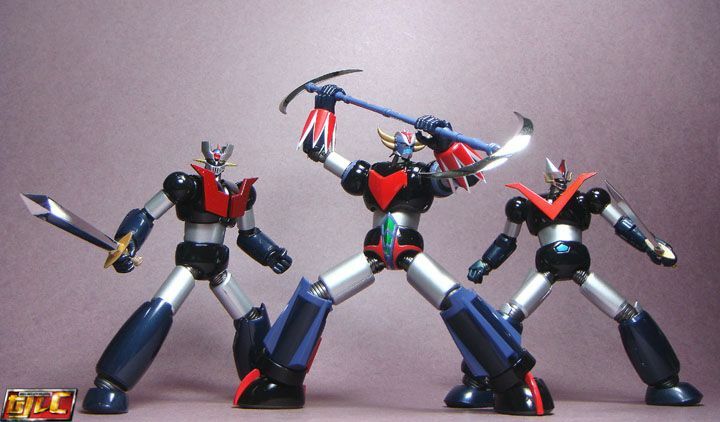 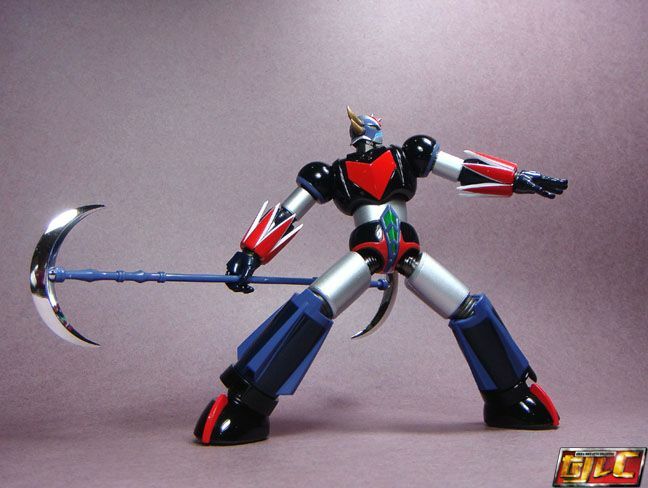 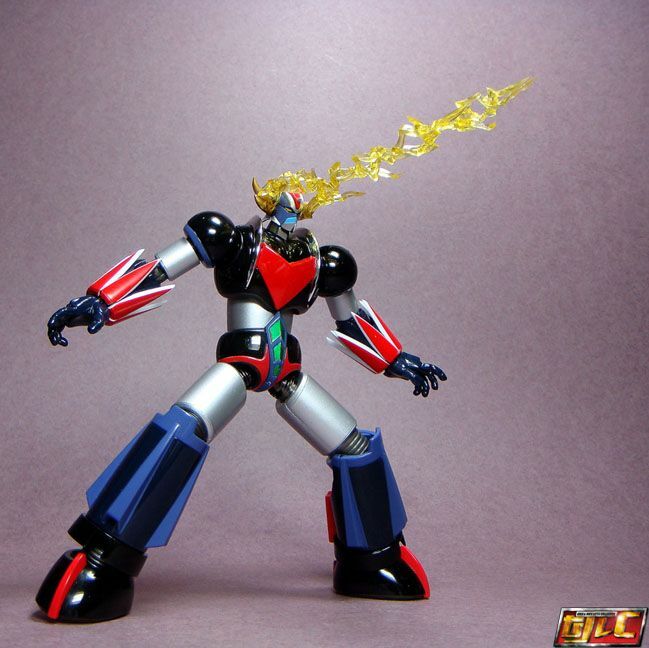 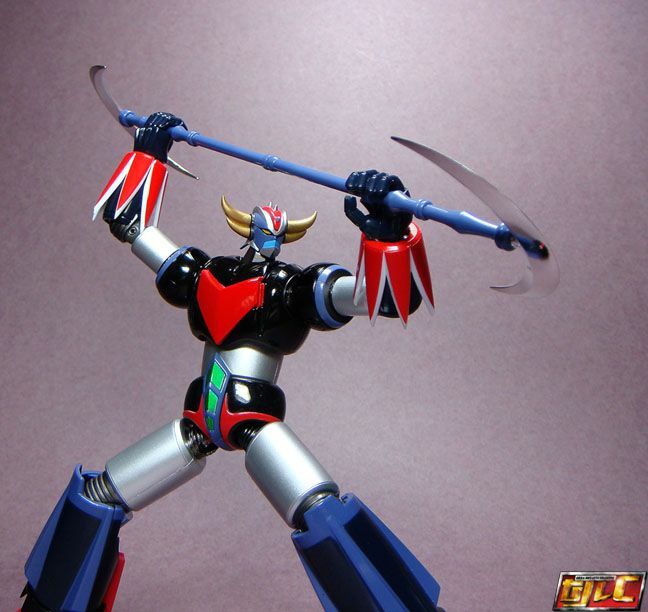 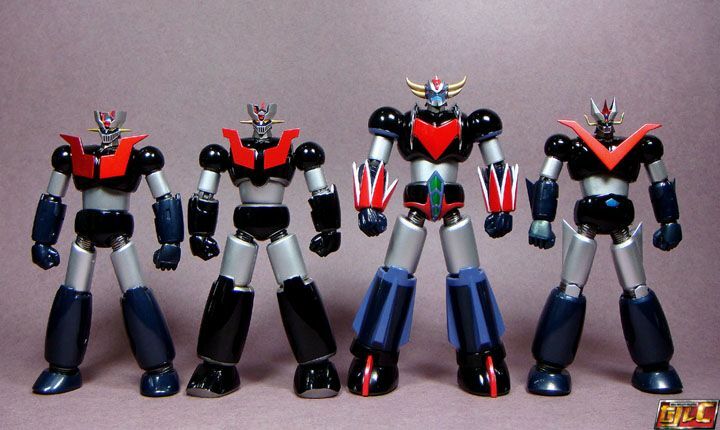 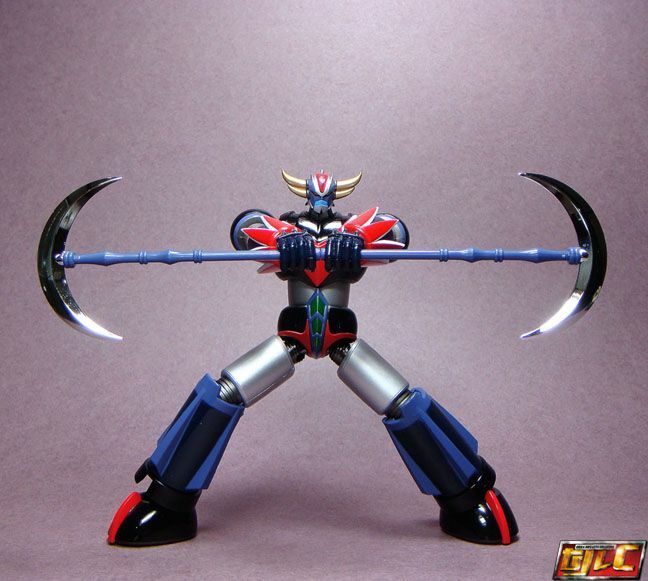 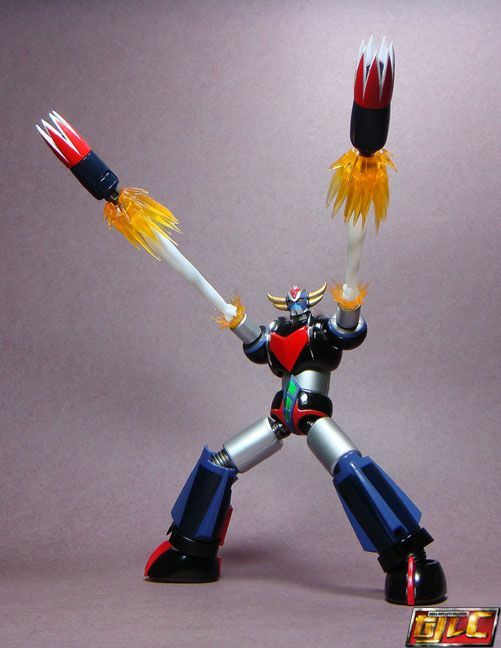 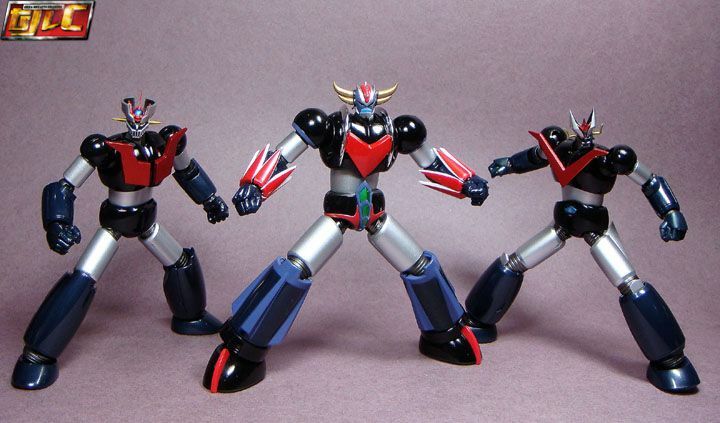 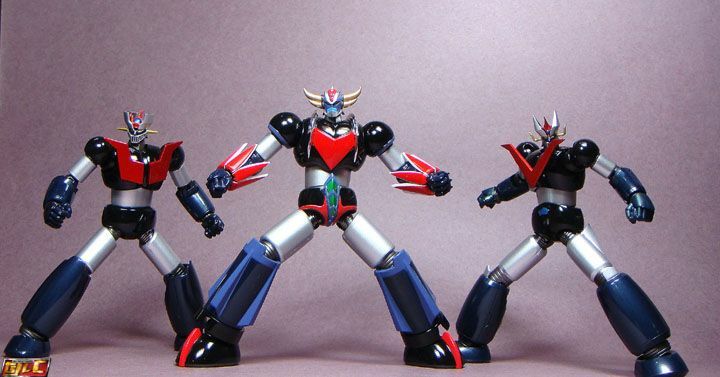 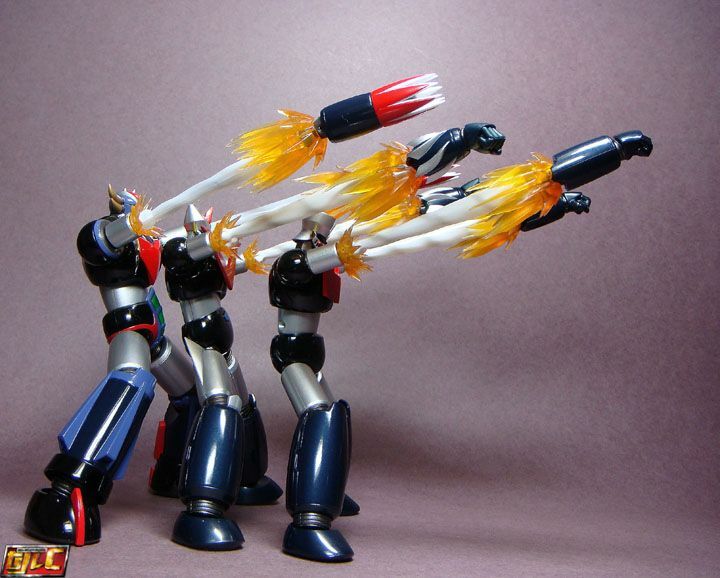 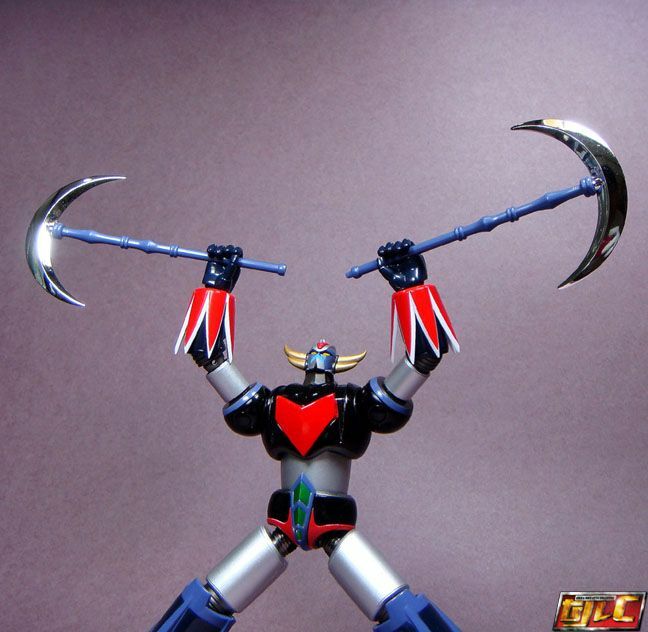 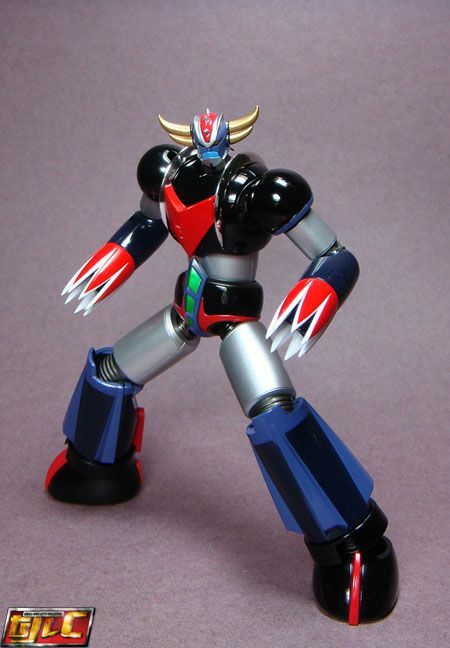 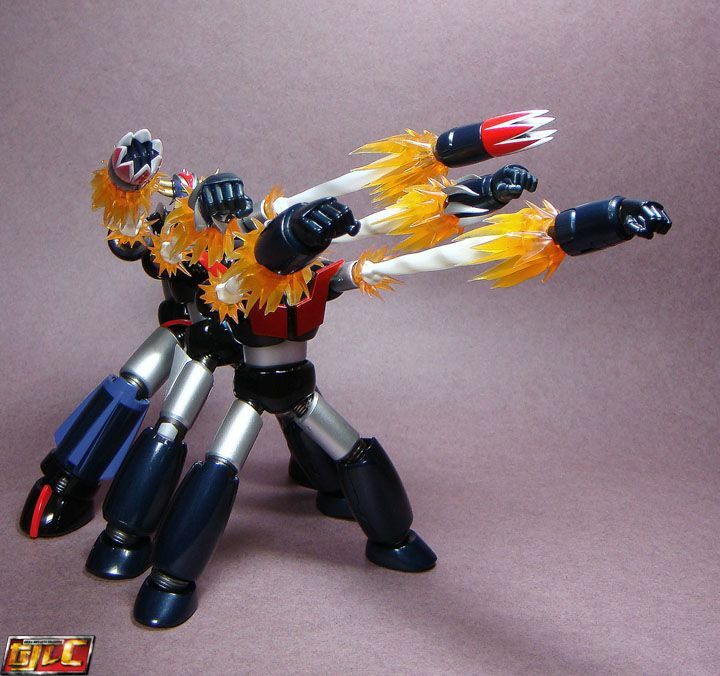 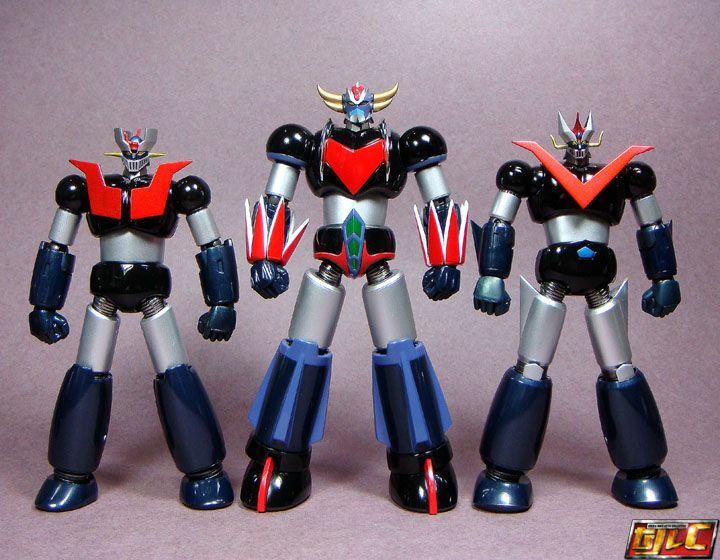 To help Grendizer pull of excellent poses. 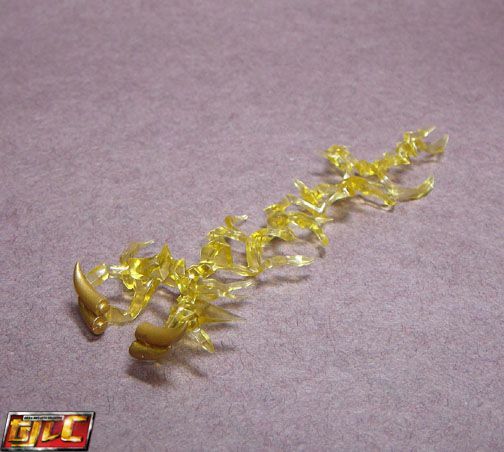 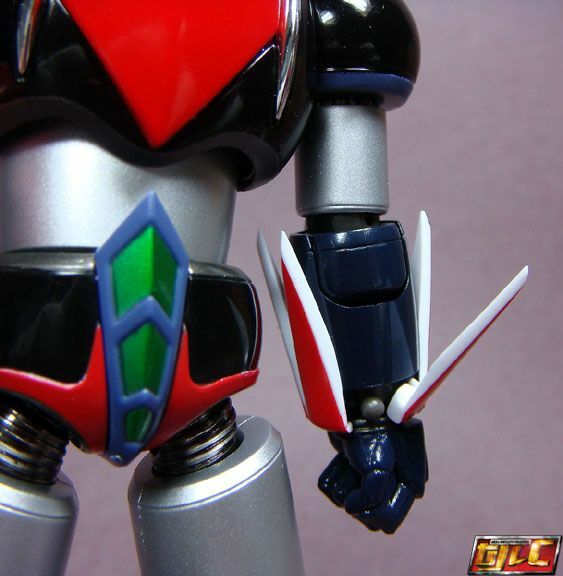 I have to say I’m really impressed with how Bandai worked out a way to make the Screw Crusher fins work around the elbows. 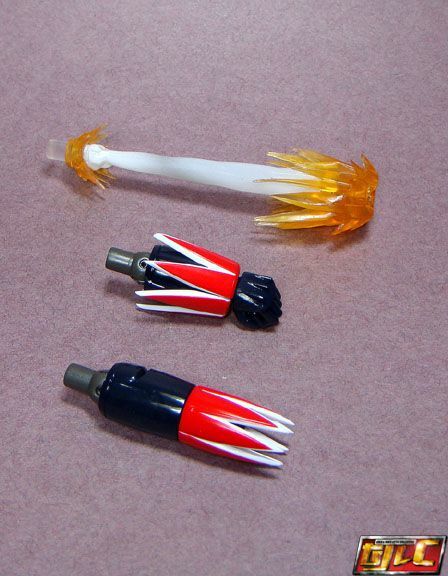 Great engineering thinking here IMHO. 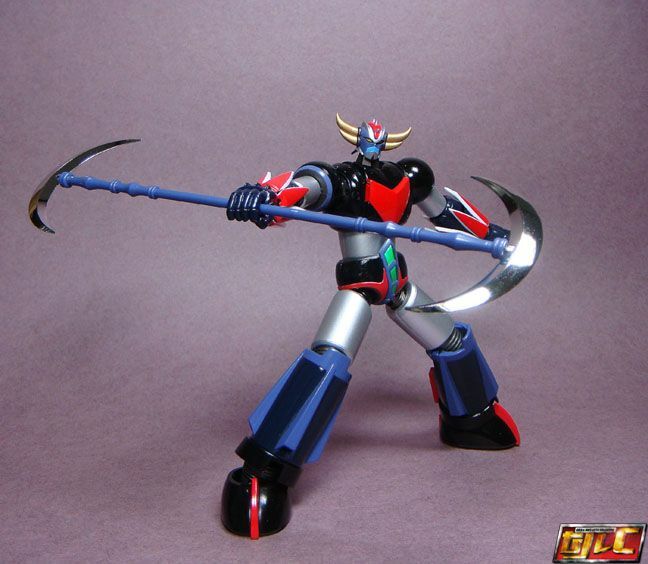 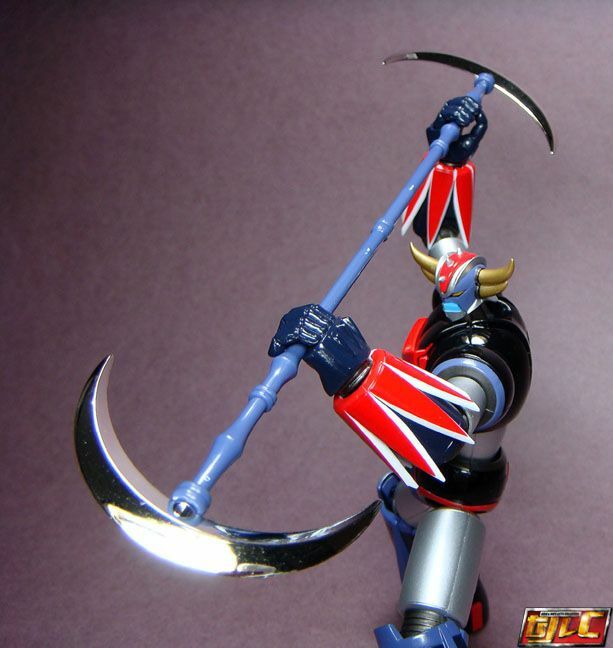 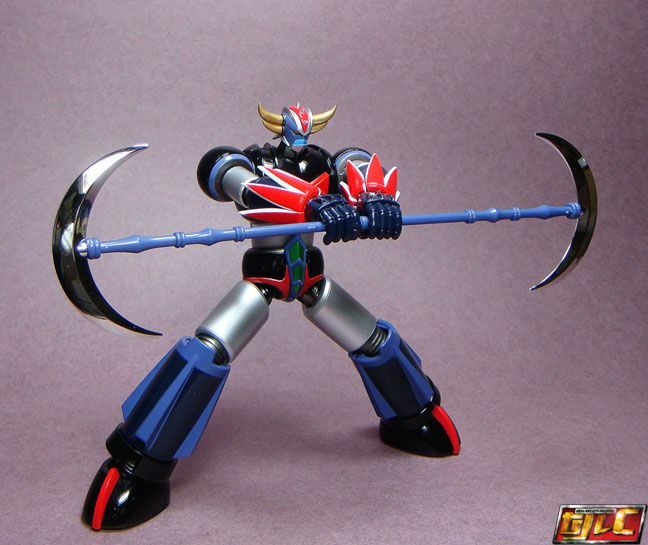 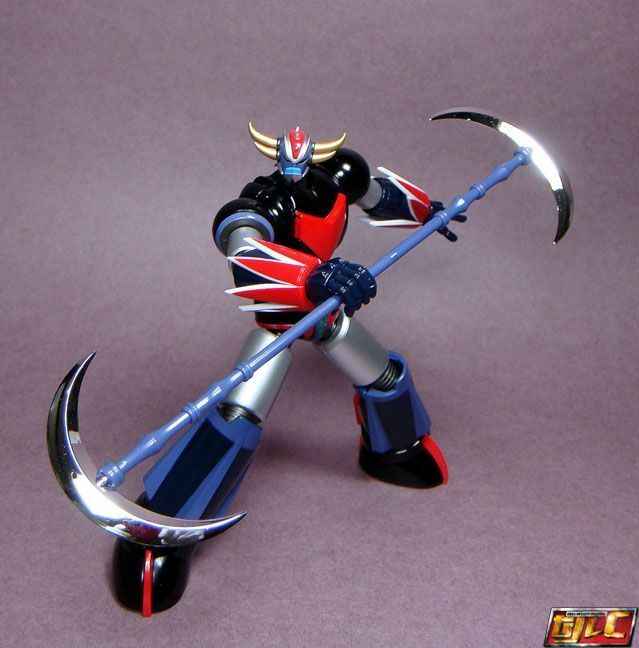 I’m not 100% sure, but I seem to remember in one episode, Grendizer used the Screw Crushers as melee weapons, instead of shooting them at an opponent. 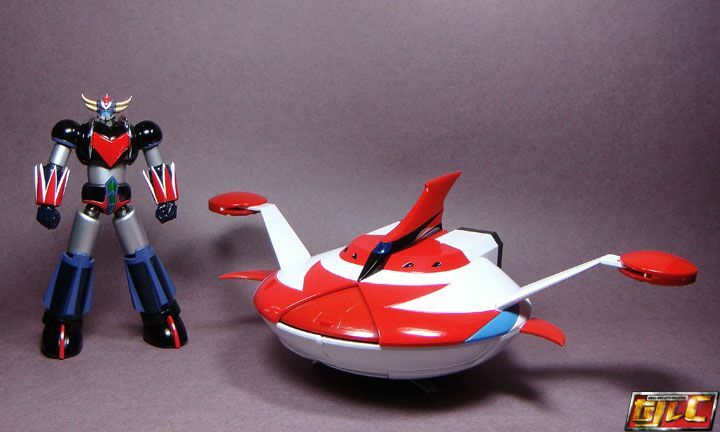 Please correct me if I’m wrong on this. 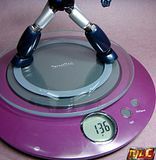 Lol… this made me laugh when I took the pic. 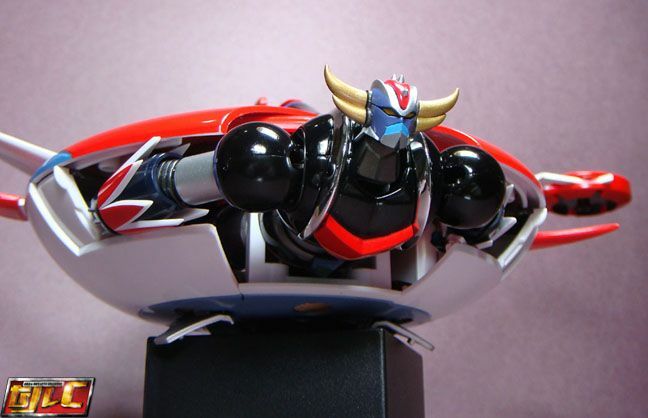 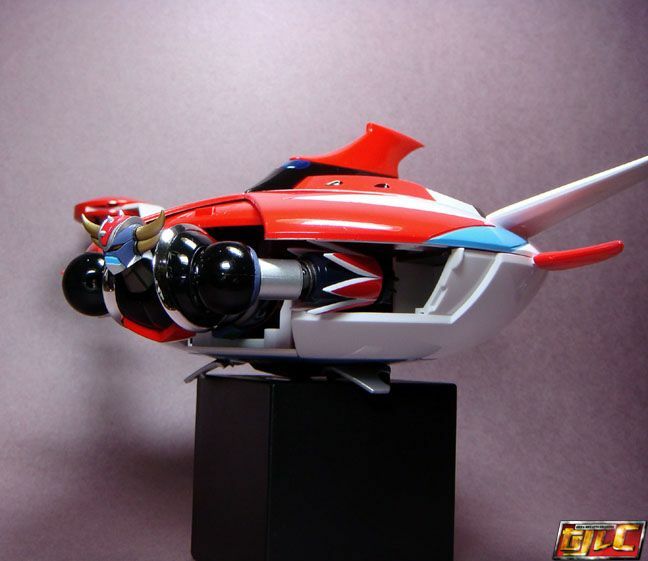 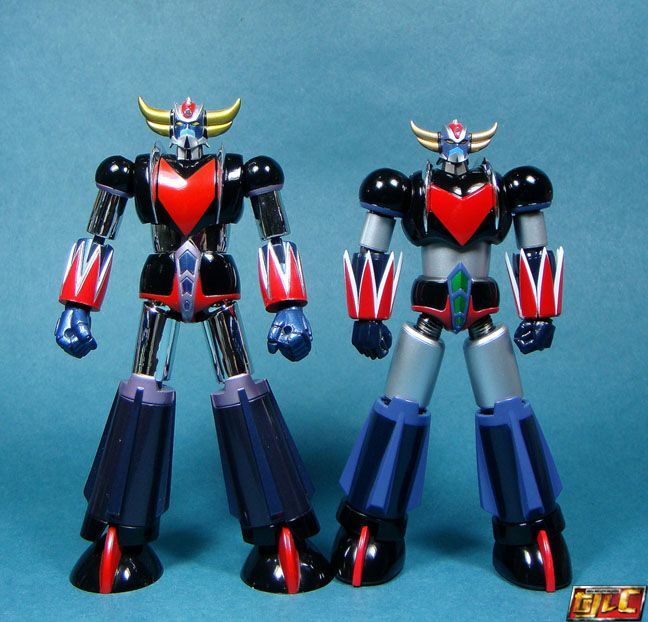 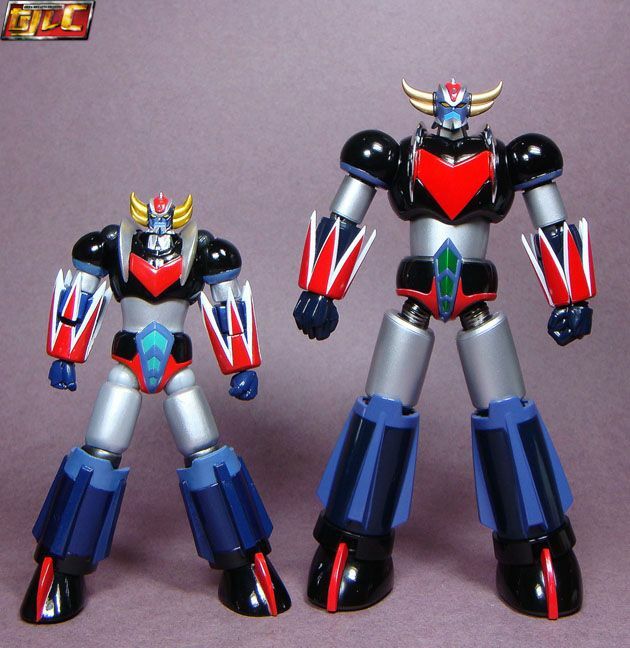 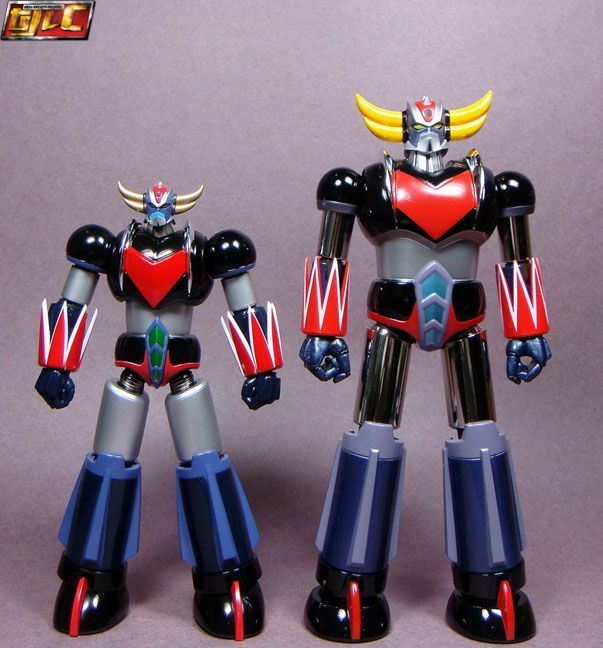 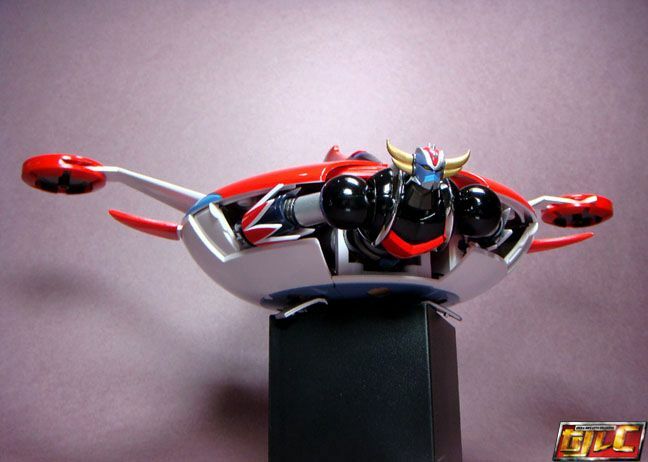 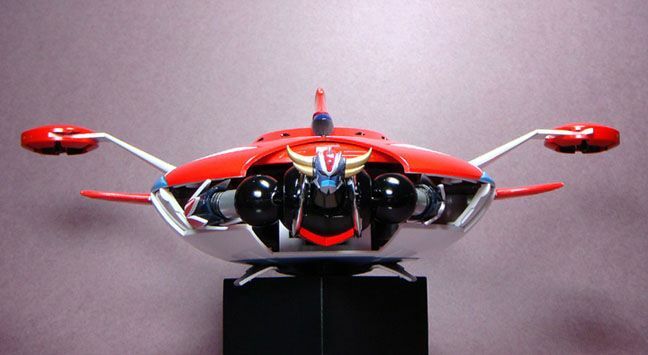 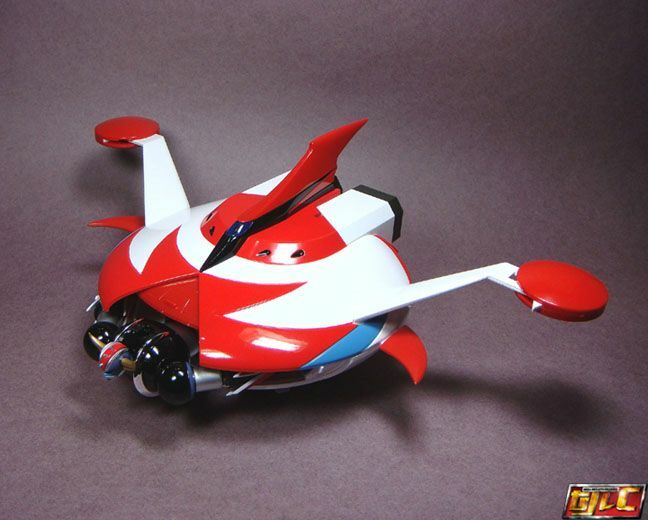 Since we’ve yet to see a final prototype for the Spacer, here’s SRC Grendizer with the GX-04S Spacer. 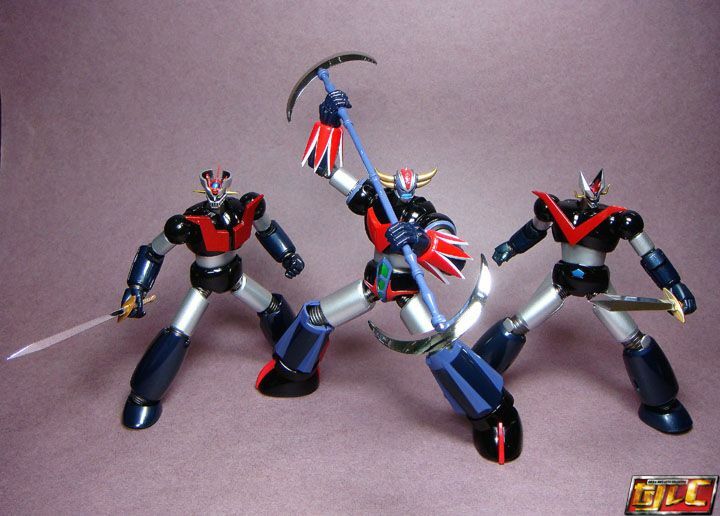 Fits right in, no leg shafting required. 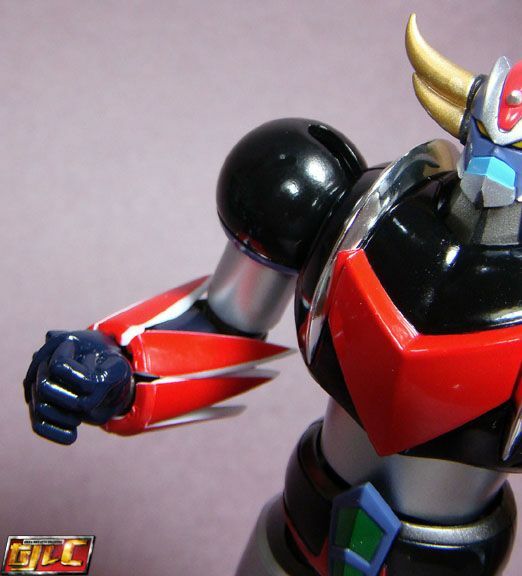 The lock doesn’t rub or do damage either. 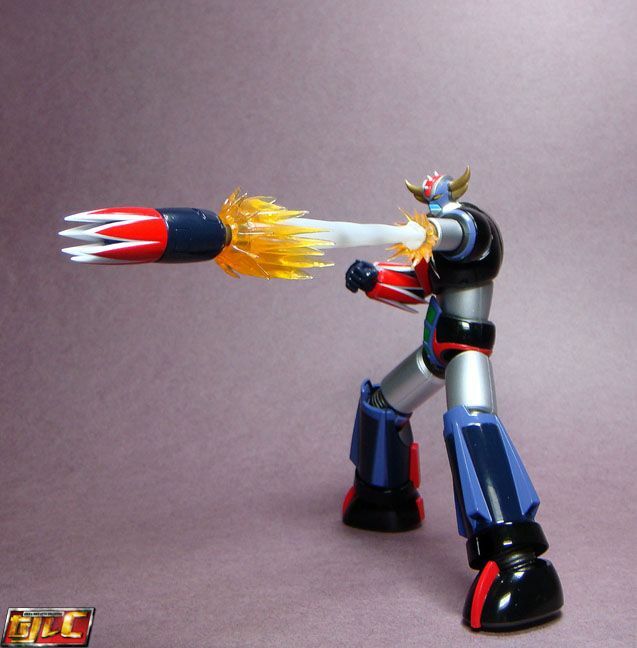 Boy, I’d hate to be on the receiving end of that. 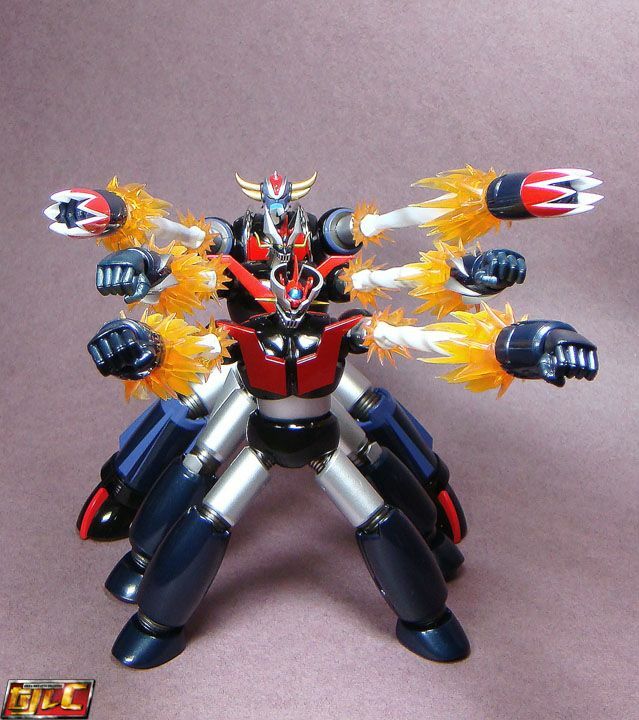 Imagine the terror on General Dark’s face when he realizes the last thing he will ever see is 6 fists flying at him at the same time. 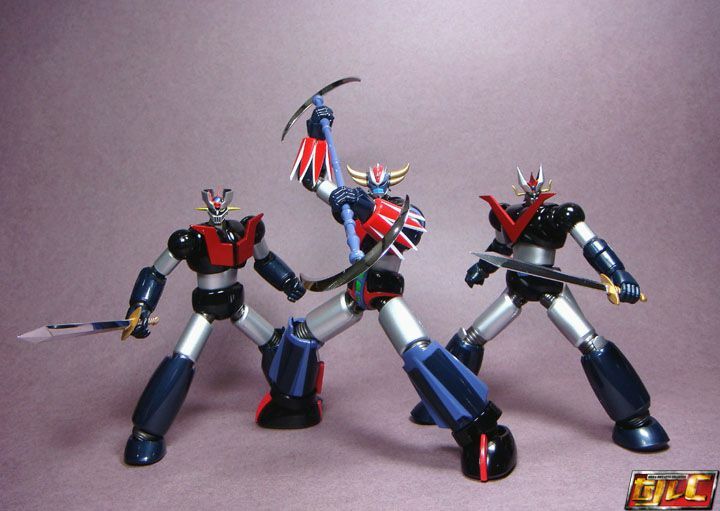 I thought about doing a The Good, The Bad, and the Ugly here, by honestly, I just totally love this figure. 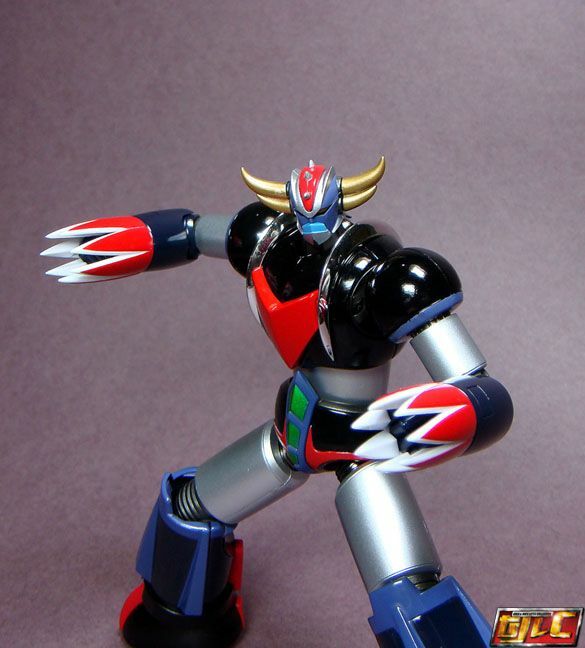 I can’t seem to find anything that disappoints me (maybe the lack of Hand Beam effects, or the lack of the foil stamps on the SRC boxes starting with Grendizer). 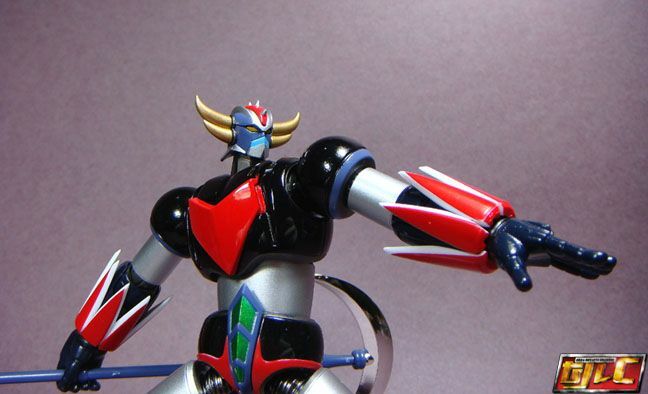 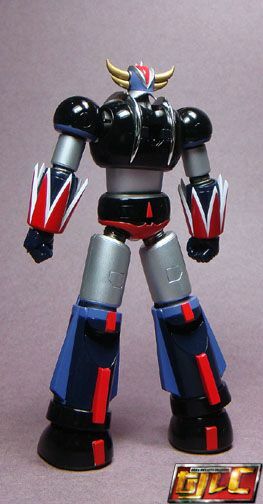 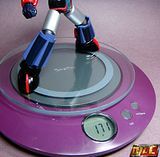 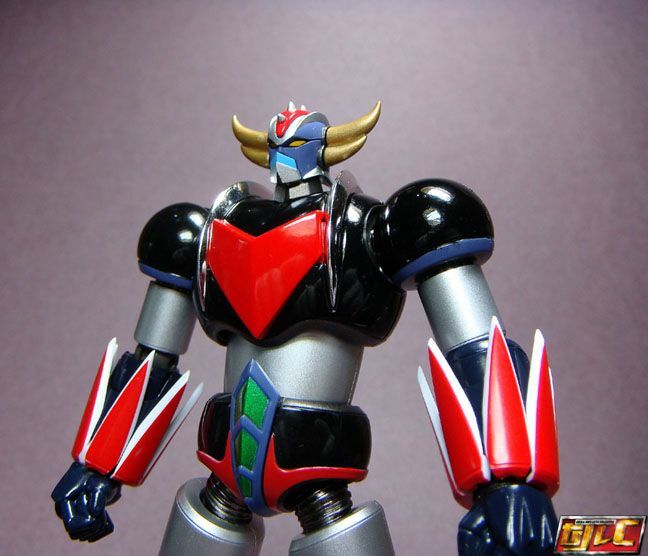 Your mileage may vary but this one seems to be the best Grendizer figure I have.